We've got your quality coffee needs covered. Fair-trade, certified organic, local, ethical, delicious coffee galore! Whole beans, quality grounds, instant blends. See some of our brands below, more in store. 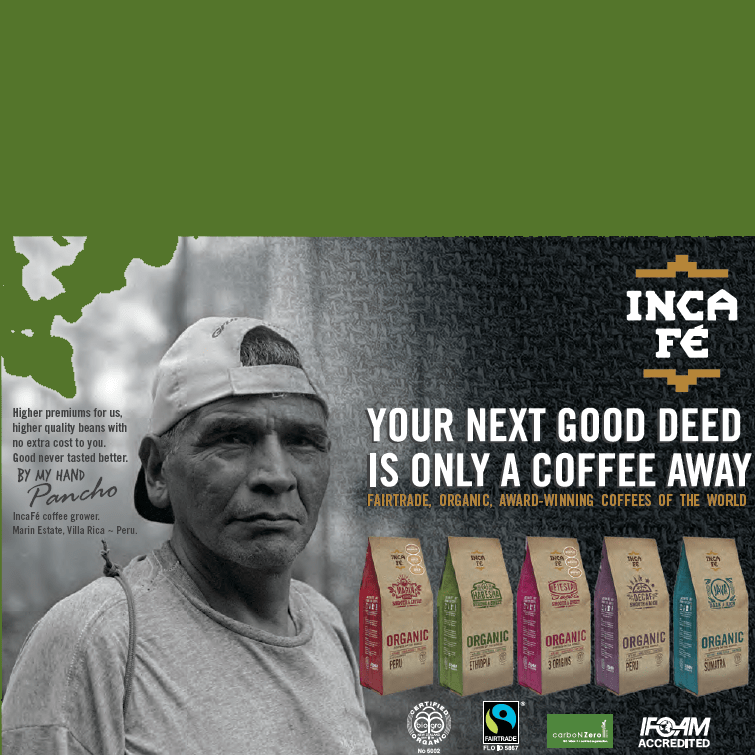 Inca-Fe coffee is grown on sustainable shade-grown organic farms.The company believes in the principles of fair trade and in the quality and sustainability of organic foods, The use of energy and the carbon emitted by the company has been offset by its carboNZero certification. 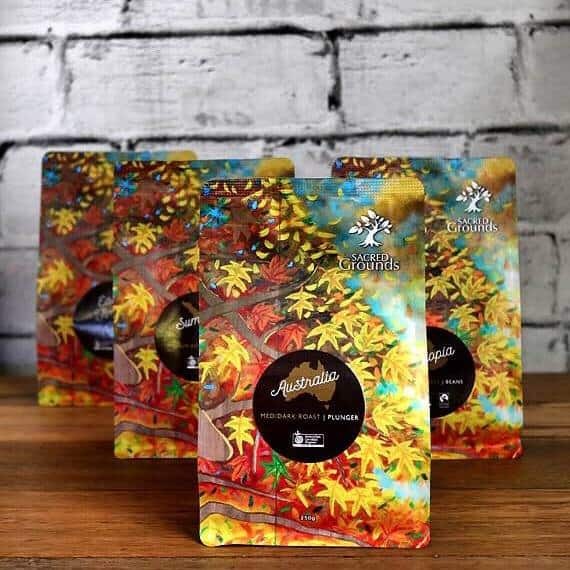 Inca-Fe’s packaging is designed to keep the roasted coffee in optimal condition until it is used. 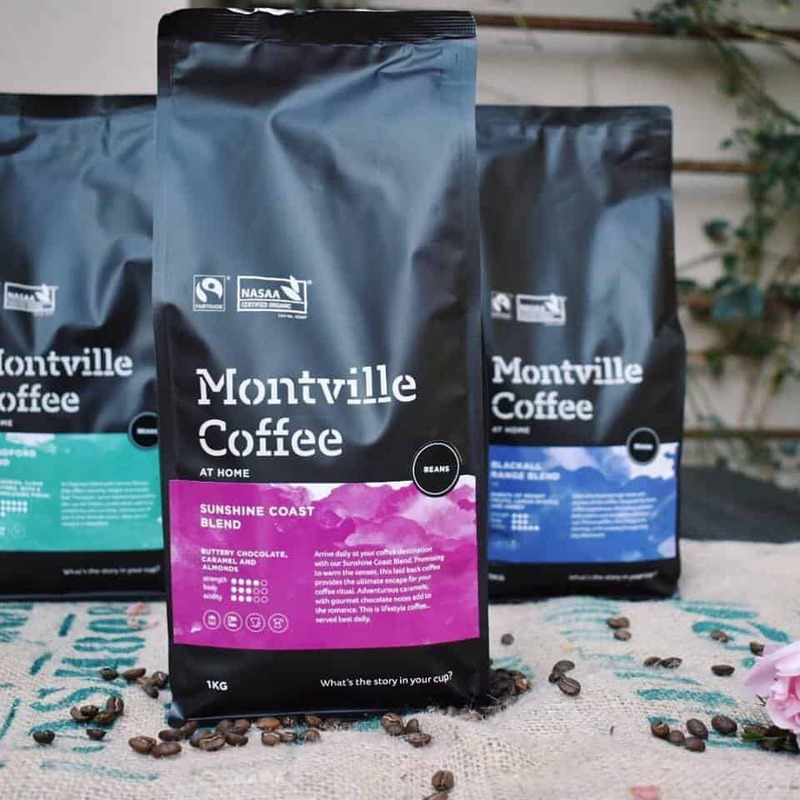 Established for 17 years, Montville Coffee has developed and achieved award winning blends through premium quality, Certified Organic and Fairtrade beans. Multi-award winning certified Fairtrade & Organic coffees are recognised by the industry for their balance, flavours and aromas demonstrating world-class excellence. Sacred Grounds’ key product is coffee. They source, roast and blend only the highest quality ethically sourced coffee beans. Grown organically as nature intended. 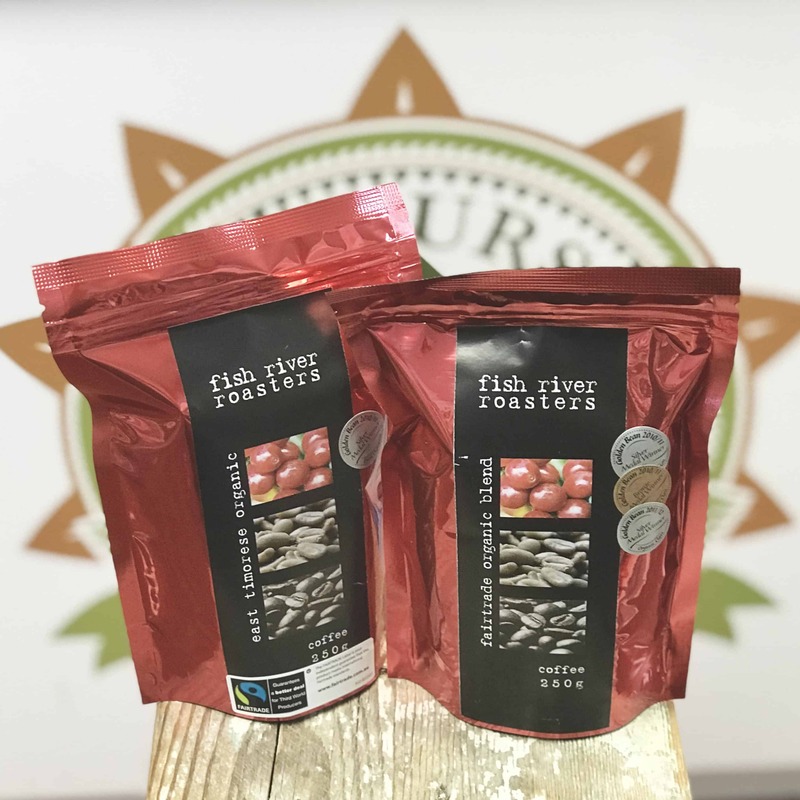 Fish River Roasters is an award winning, boutique coffee roasting company located in the O’Connell Valley on the western border of the Blue Mountains and 20 minutes from Bathurst NSW. From our director Xanthe’s home village, O’Connell. 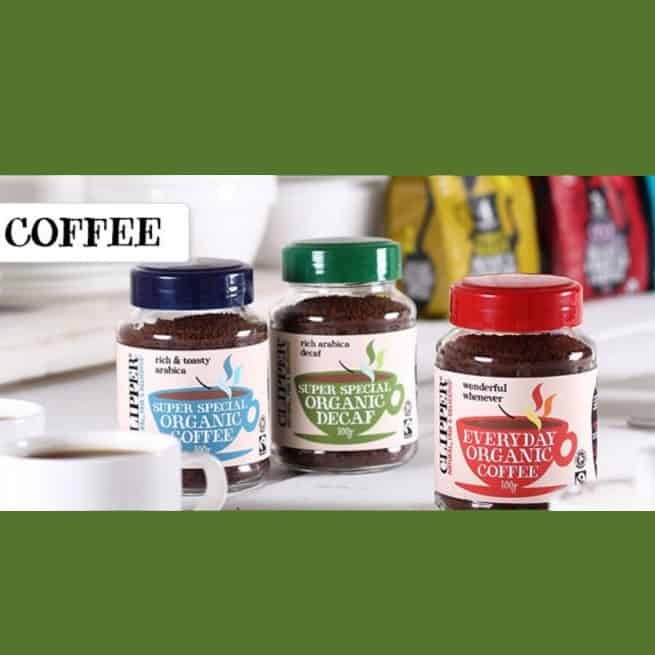 We’re proud to stock their certified fairtrade and organic blends. From roasting to decaffeination and freeze-drying, all clipper coffees are brought to your morning with entirely natural processes, so you can wake up to a zingier cup with a smooth, full-bodied flavour. All are are made with Fairtrade coffee beans. 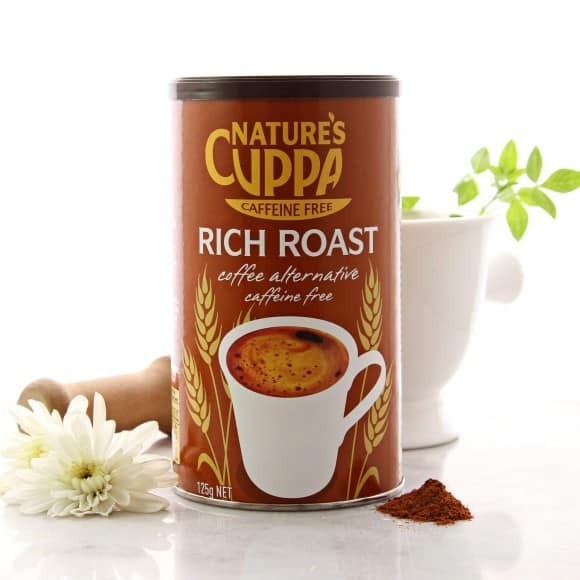 Nature’s Cuppa is an Australian-owned company that brings you the finest certified organic tea from its sustainable Fairtrade plantation in the Sri Lankan highlands, organic coffee from the Brazilian rain forest and the best tasting coffee substitutes.